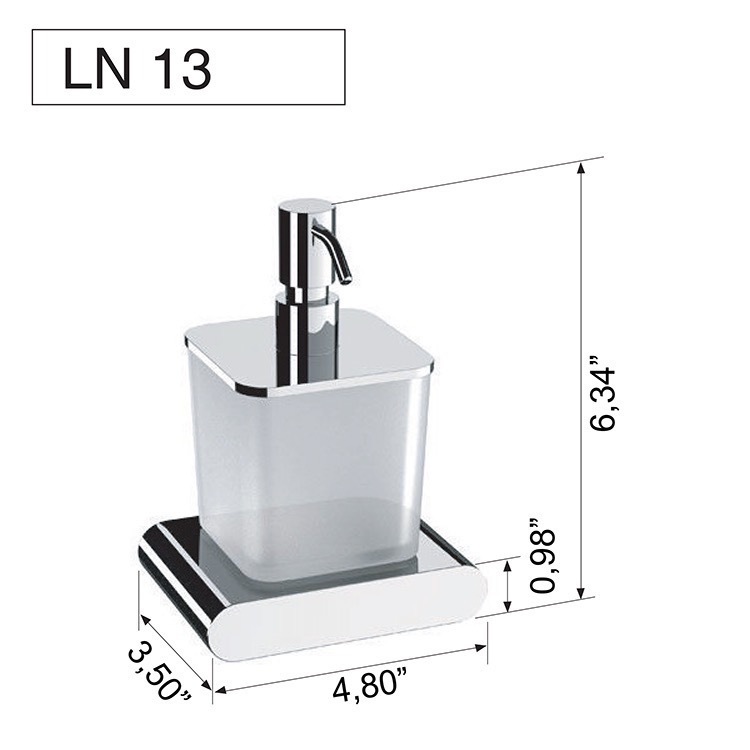 Modern, decorative rectangle hand soap dispenser with chrome finish. 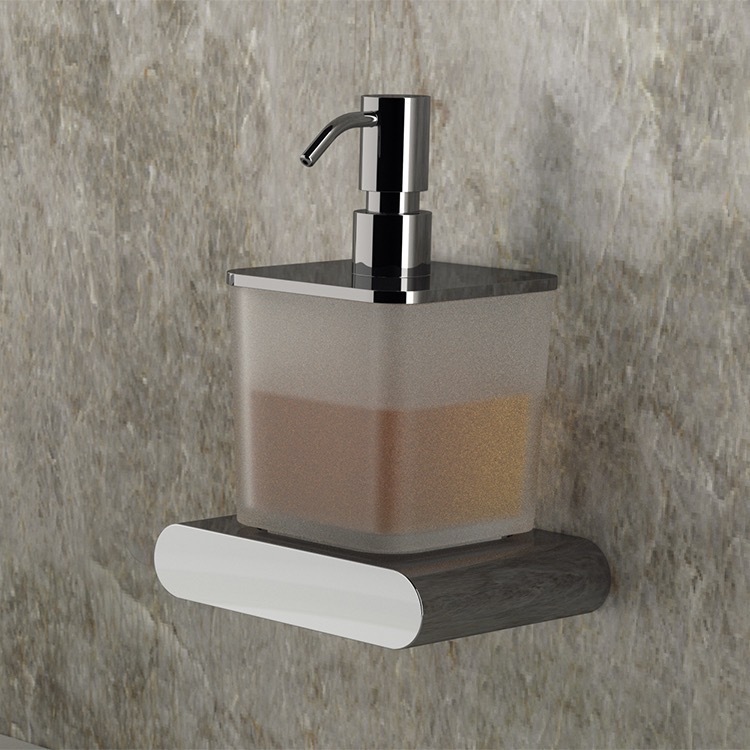 Soap dispenser is made from high quality brass and frosted glass. It is a gel dispenser for the modern or contemporary style bathroom.